Alpine Companies provides excavation for many building and geotechnical applications / projects here in Denver. This particular excavation is for a new homes’ foundation. After we complete the excavation we will then drill the caissons, install the rebar and pump the new caissons full. 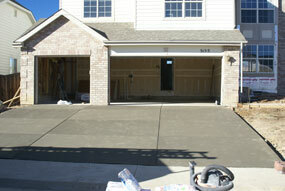 Once that step is complete, Alpine Companies will install the new structural concrete / steel floor. When it comes to excavation and new foundation installation not many companies can say they are as experienced as the professionals at Alpine Companies. Harold Lesser of Alpine Companies poured his first foundations in Copper Mountain Colorado in the late 1960’s. Those were the first foundations poured on Copper Mountain at that time. Since then Alpine Companies has poured concrete foundations, installed cinder block foundation, installed foam form foundations as well as brick, block and stone foundations. 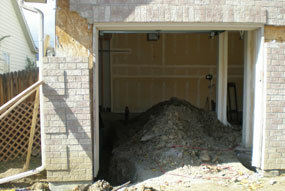 This homes’ garage and interior foundation had extreme structural damage. foundation-repair-denver-01The homeowner said no other company in Colorado would even bid on the job. 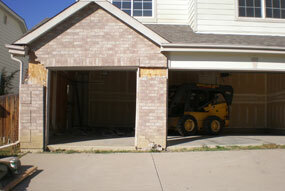 To Alpine, these are the exact types of repairs we have been trusted to repair by thousands of Colorado residents for over 40 years.foundation-repair-denver-02 Once the foundation excavation was complete, Alpine pushed resistance piers and re-leveled the entire house back to perfect original elevation. Alpine Companies also completely remodeled the landscaping and the interior, which made it easy for the investor to sell the property within 2 months on the market. 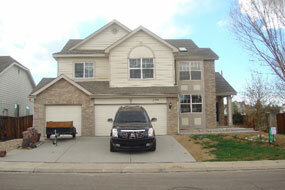 foundation-repair-denver-04Alpine Companies completed this complete property renovation in 4 months. Foundation repair, concrete removal and replacement of the garage floor, driveway, front back and side sidewalks and a new large back patio was installed. 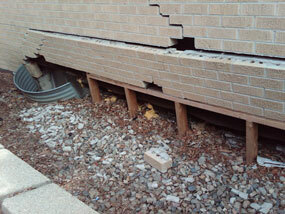 The brick of the home needed extensive tuck pointing and complete removal and replacement. Alpine then landscaped around the entire perimeter of the homes foundation, installing a beautiful sod back and front yard for the perfect curb appeal.